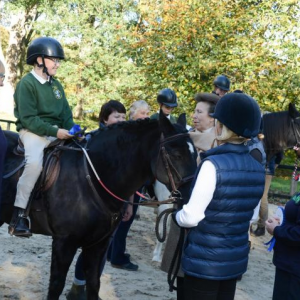 This month our charitable focus was in support of the visit by Princess Anne to the Riding for the Disabled Group at Welburn Hall School in North Yorkshire. The Princess visited in order to open the new riding arena, present prizes to the riders and to formally acknowledge the commitment of the volunteers who give so much time and dedication to the charity. The Riding for the Disabled Association, also known as the RDA is a United Kingdom based charity focused on providing horse-riding and carriage driving lessons to people with both developmental and physical disabilities and Codex is proud to have supported over the past few years. Welburn Hall School is a North Yorkshire County Council maintained special school with a strong reputation for excellence in working with children and young people who have a wide range of special educational needs.